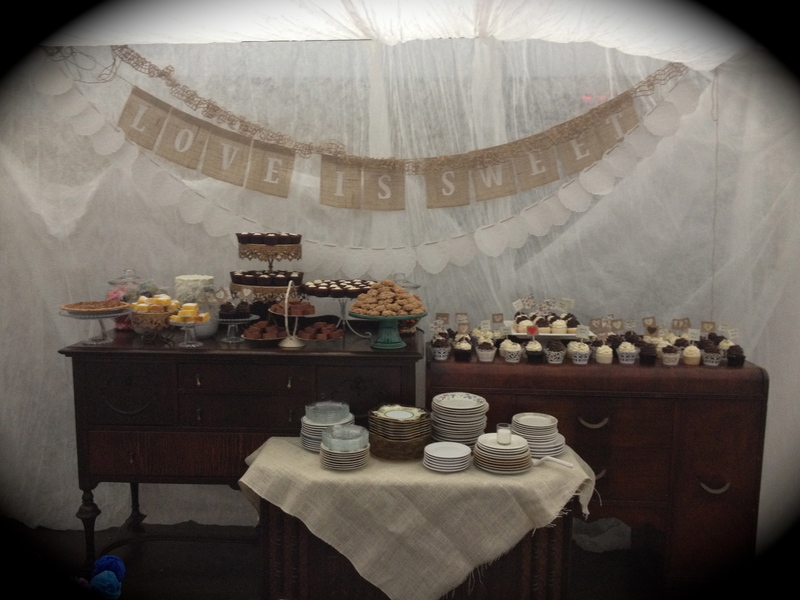 This beautiful and fun wedding dessert table was created at the National Guard Armory in Campbellsville, Kentucky. The array of desserts consisted of mini cheesecakes, derby pie, lemon bars, chocolate and vanilla cupcakes, peanut butter no bake cookies, a wedding cake for the bride and groom and candy jars filled with skittles and starburst. The desserts were displayed on antique chest of drawers. 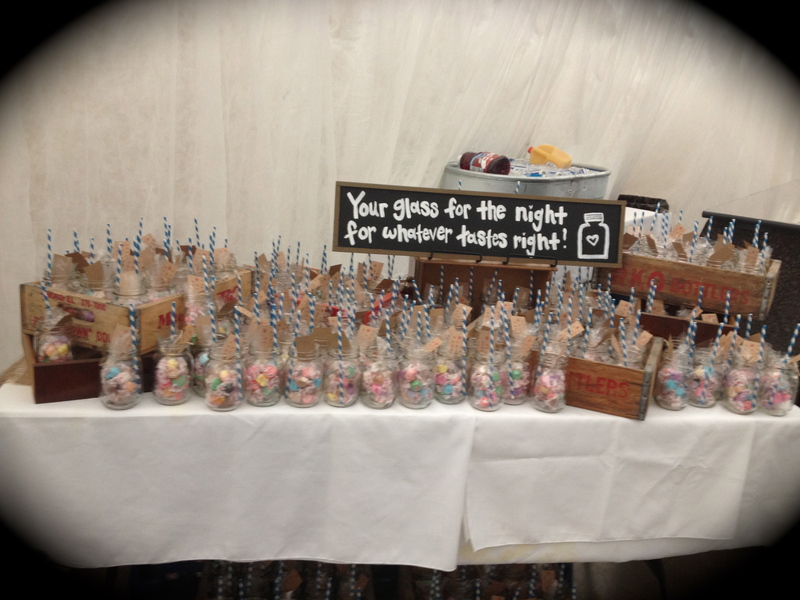 The bride created mason jars filled with candies and straws for the guests beverage glasses. This wedding was featured in the summer edition 2013 of Kentucky Bride magazine. 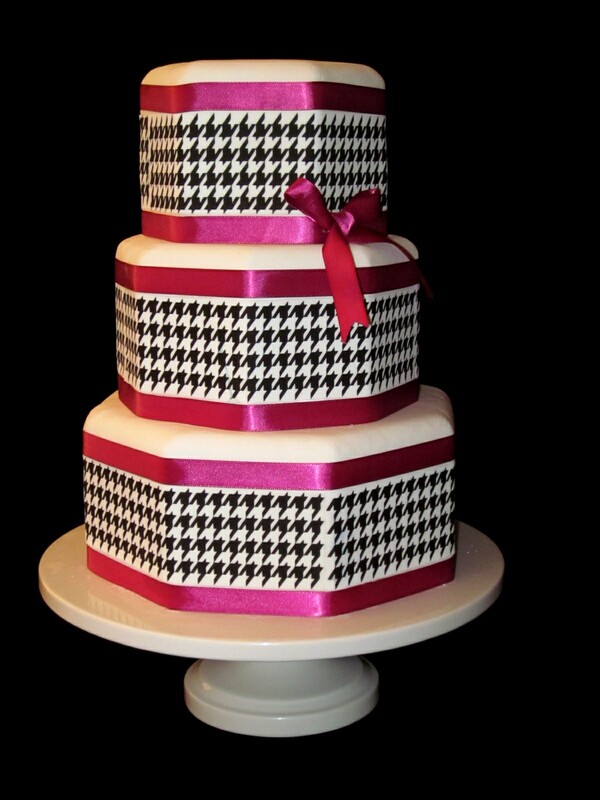 This marshmallow fondant 3 tier cake was created by utilizing rice paper for the houndstooth pattern. Hot pink satin ribbon was used for the borders and bows. To order a cake call The Twisted Sifter at 859-238-9393. 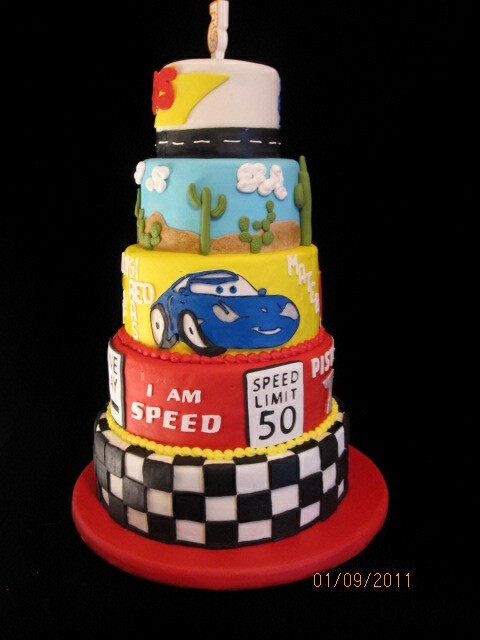 We created this 5 tier Disney Cars birthday cake for a 5 year old boy’s birthday party in conjunction with the grand opening of Kid Zone in Richmond, KY. Each tier of cake was a different cake flavor and filling. 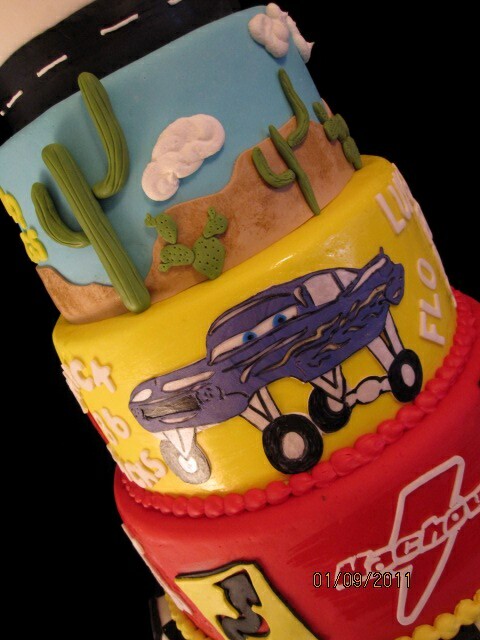 The whole cake is covered in our handmade marshmallow fondant. 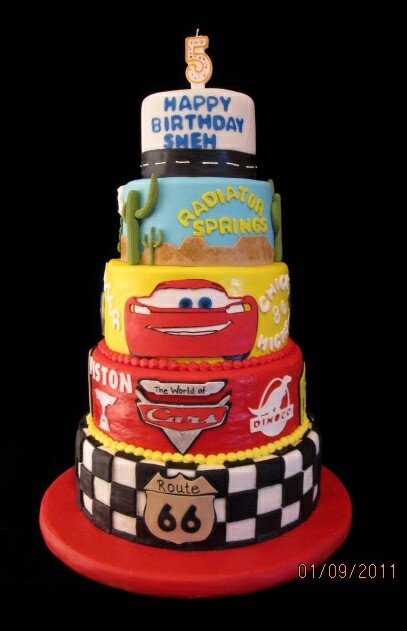 The Cars characters, McQueen, Sally and Ramone are created in gumpaste. To order a cake or cupcakes, call The Twisted Sifter Cake Shoppe at 859-285-0306. We created this hexagon stacked cake in our handmade marshmallow fondant. 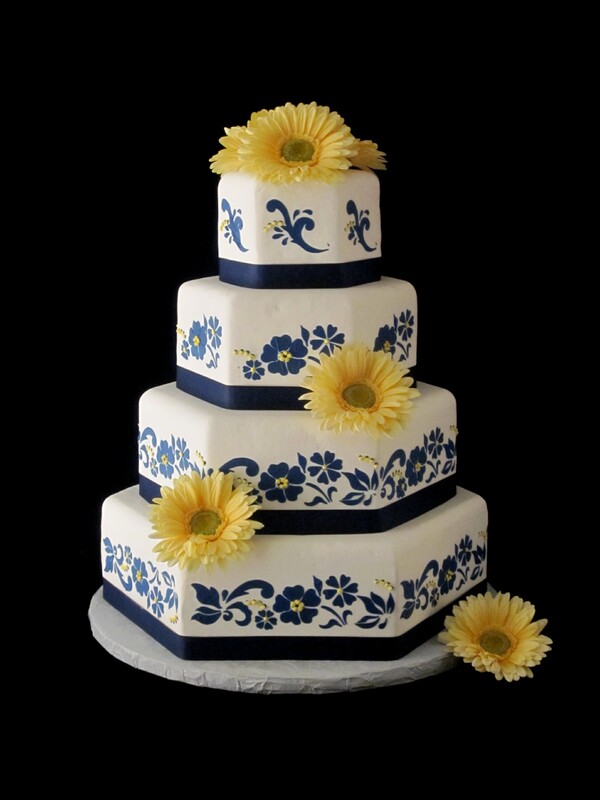 The navy blue design is created in royal icing. 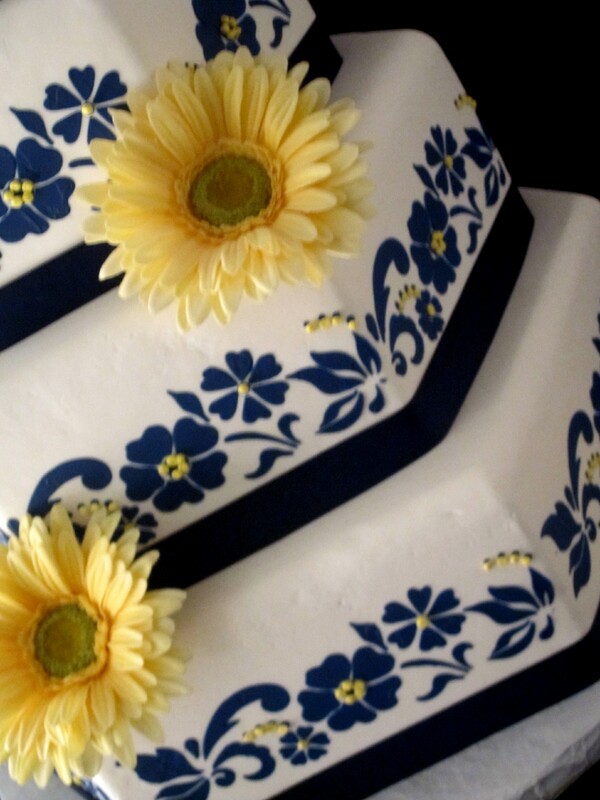 The cake is adorned with yellow gerber daisies. To order a cake or to schedule a complimentary wedding consultation and tasting, call The Twisted Sifter Cake Shoppe at 859-285-0306. 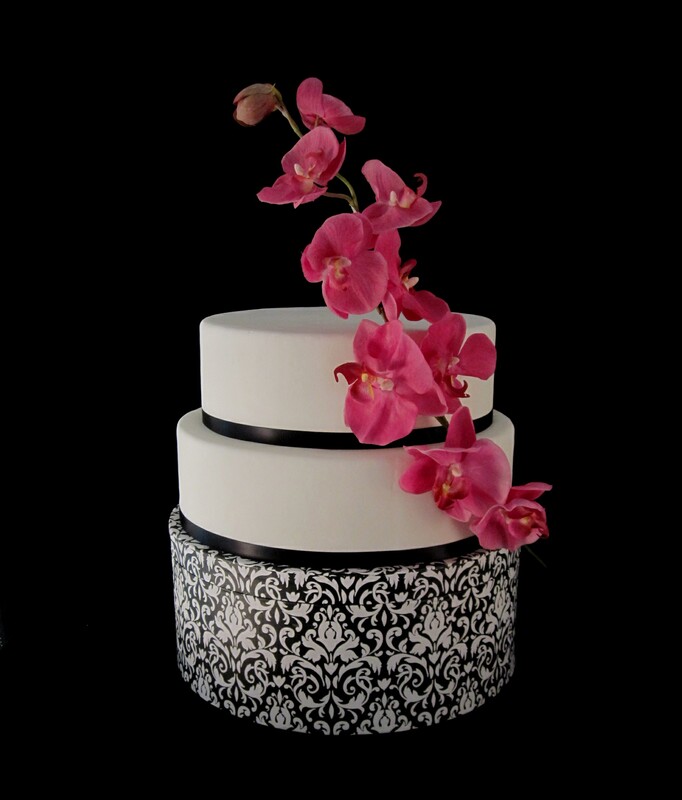 – -This beautiful black and white damask design wedding cake is adorned with a hot pink orchid stem. 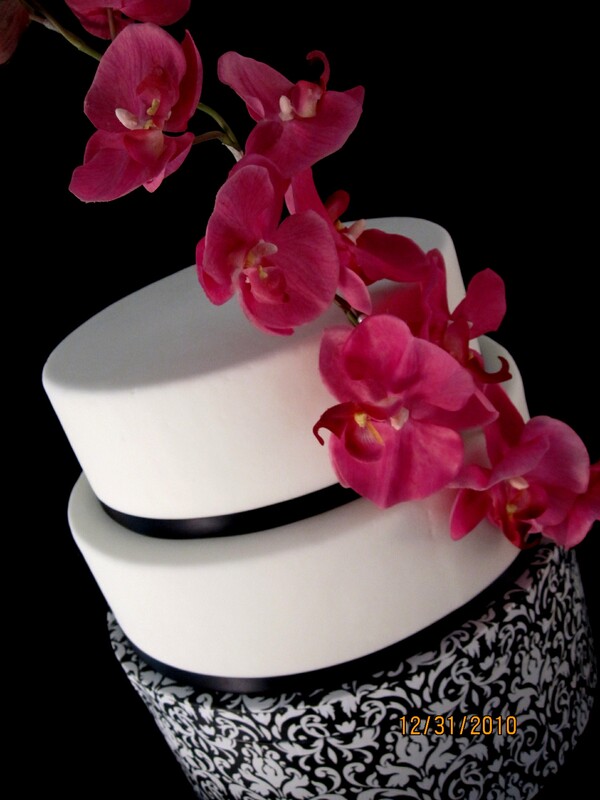 The cake is a 12″ and a 14″ round stack cake that is displayed on a damask hat box. We created this tiered, marshmallow fondant cake for a little girl’s birthday party. 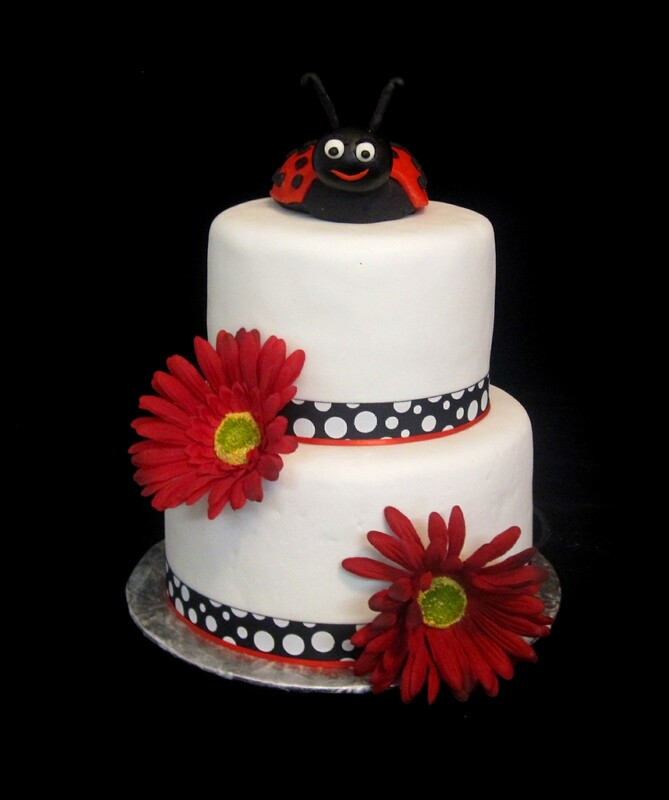 The cake is red, black and white polka dot topped with a fondant lady bug. 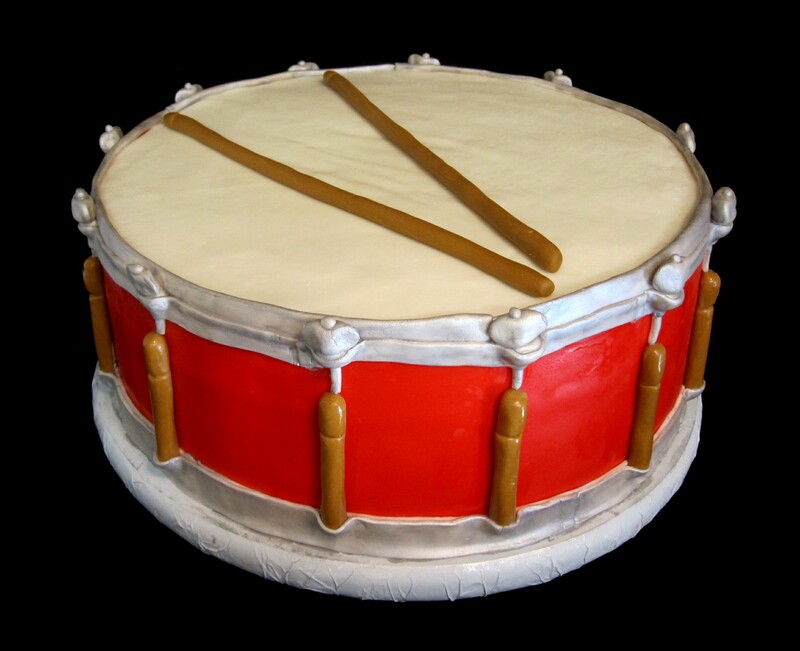 This huge 16″ round snare drum cake was created for a drummer’s birthday. The cake was 3 layers of red velvet cake with cream cheese filling and icing. The cake was covered in red and white fondant. The drum sticks are made from marshmallow fondant too. To order a birthday cake, call The Twisted Sifter Cake Shoppe at 859-285-0306.